The Children’s Museum’s MEGALung is traveling to schools throughout Hunt County. 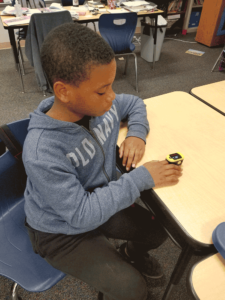 As the recipient of a recent Tobacco Grant from Hunt Regional Healthcare, the Children’s Museum is bringing their one-of-a-kind lung to classrooms. As part of the instruction, students have the opportunity to sit inside the 8 foot tall MEGALung. Such lung diseases as cancer, emphysema, pneumonia, COPD, asthma, and bronchitis can be seen on the giant lung. Instruction in the classroom includes the students’ ability to measure their oxygen level and blood pressure through using oximeters. Through the lessons on maintaining healthy lungs, students learn that tobacco use, either inhaling, through secondhand smoke, or other products, is the top cause for not only lung, but also other types of cancers. They learn that lung cancer has the highest occurrence of any cancer in Hunt County. According to DataUSA, smoking is directly responsible for approximately 90 percent of lung cancer deaths and approximately 80 percent of deaths caused by chronic obstructive pulmonary disease (COPD), including emphysema and chronic bronchitis. The MEGALung has also been taken to Health Fairs and schools in Fannin and Lamar counties. 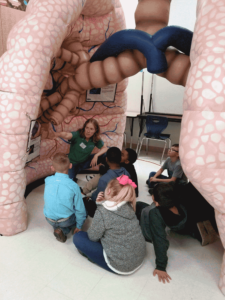 For information on bring the giant lung to your school or event, call the Children’s Museum at 903-886-6055.